Before we get to the music, a gentle reminder that SoundRoots is supported by you, the reader/listener. This labor of love gets no corporate funding or government grants. A trickle of spare coins from you and a few affiliate links is it, and it's needed to support the website and the Spin The Globe podcast. So please take a moment in this season of Thanksgiving and give a little for the cause. That little golden "Donate" button is our friend, yes it is. (If you're seeing this via a feed reader, please click through to www.SoundRoots.org where you'll find said button.) Thanks! What the haka is going on in Aotearoa? When I visited some time back, the music I heard was mostly Crowded House and the bleating of sheep. And Maori sounds, of course, which I continue to enjoy primarily through the work of Moana & the Moahunters/Tribe. But recently some of the best chilled funk around is coming from the wee island nation. Fat Freddie's Drop seemed to kick this trend off, and now there's the fantastic new* album Get It Together from a group called Sola Rosa. The group may not pass a strict "world music" litmus test, though an argument could be made based on their inclusion of Latin beats, a great horn section, and a general vibe of openness to various sounds. While global music fans may warm to this, it's also geared toward swing-jazz fans: Just check out "Humanised." They even get a bit retro-soundtracky on "Bond Is Back." Fat Freddie fans might want to start with the track "Turn Around" featuring smoky vocals by Iva Lamkum (a Wellington-based singer upon whom, it should be revealed, SoundRoots may have a serious crush). Somehow I missed Sola Rosa's 2005 debut album Moves On, an error I expect to remedy in short order to know where these guys are coming from, musically. Even without such background, however, I can assure you that the new album is worth a listen for its fresh blend of soul, swing, reggae, hip-hop, and electronica. 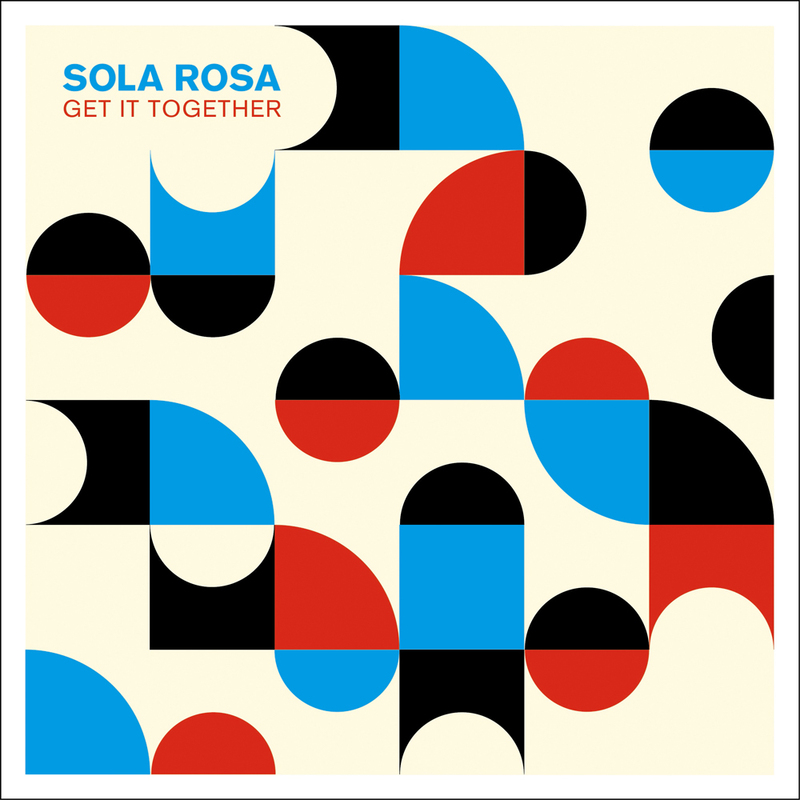 [mp3] Sola Rosa: "Get It Together"
*When I say "new," I should point out that I mean new to me, and to the USA market. The album originally came out in March 2009, but the crate of CDs bound for the new world apparently came via a leaky fishing boat that first made stops, well, everywhere but here.